A barristers’ chambers is set to launch an alternative business structure (ABS) to help it obtain international work, because it will give the appearance of a solicitors’ firm to foreign clients who do not understand direct access. The ABS, ARP Legal Limited, was granted a licence by the Solicitors Regulation Authority (SRA) in April but is not yet trading. It will focus on winning international asset recovery work. Five of the directors are barristers from City of London chambers 5 St Andrew’s Hill, a set specialising in white collar crime and extradition. 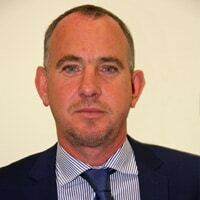 A sixth director and the head of finance and administration is the chambers director, Wayne King. The head of legal practice is barrister Gary Pons, who was called in 1995. All the barrister directors have asset forfeiture and confiscation as a speciality, apart from Ben Keith, who specialises in human rights and extradition proceedings in the post-Soviet states, including Russia, Ukraine, Azerbaijan, Moldova, and Kazakhstan. Mr King told Legal Futures that the chambers had chosen an SRA-regulated ABS rather than a Bar Standards Board-regulated entity partly because BSB regulation was not an option when the ABS application process was started. But he also said SRA regulation was better from a business point of view: “I don’t mean to offend the BSB, but we believe that going with the SRA is evidence that we are doing what solicitors are doing, and not taking shortcuts. “If you are regulated by the SRA, people will say ‘actually we understand how that works and we understand what you have had to do to get through the hoops… ticked every box that needs to be ticked’. Mr King explained that although the licence was effective from 17 April, the business was not yet trading. He said that negotiations with insurers over the cost of professional indemnity insurance had only very recently resulted in a quotation that was deemed to be acceptable. It only remained for the chambers’ management to approve the policy. “Once the ABS is up and running we will launch it, and the website too,” he added. He said that Mr Pons had “done the majority of the legwork” on the ABS application. In February, Liverpool set 7 Harrington Street became the first chambers to set up an ABS.